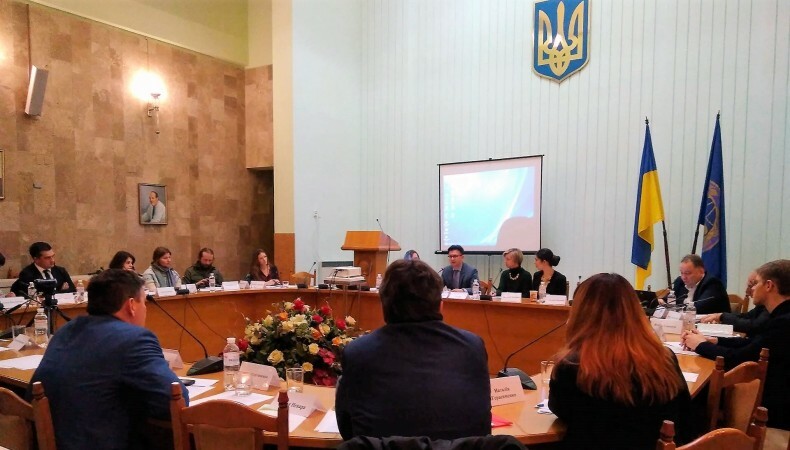 On November 15, the Institute of International Relations of the Taras Shevchenko National University of Kyiv hosted the roundtable “International Legal Aspects of the Military Actions’ Consequences in the East and the occupation of Crimea for the environment of Ukraine”. 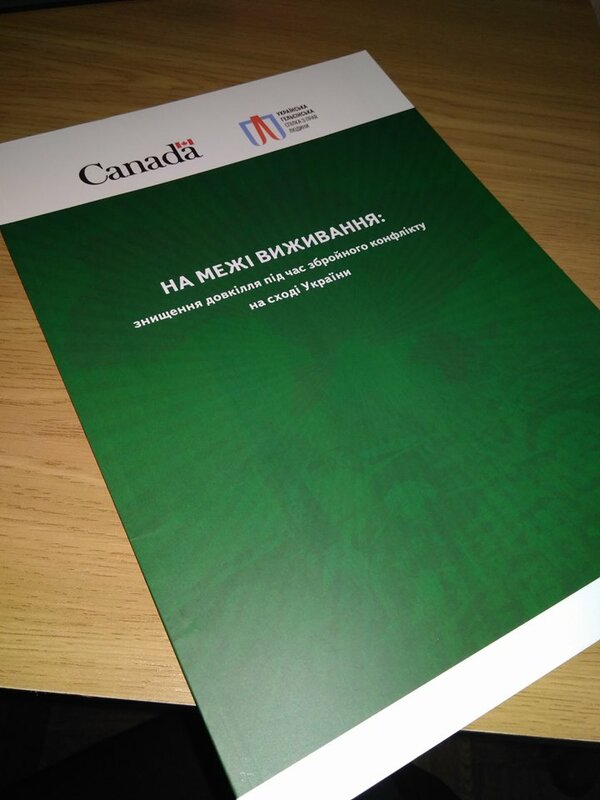 The Ukrainian Helsinki Human Rights Union was represented by Oleh Martynenko, Head of the Analytical Department, Serhii Movchan, an analyst at the Documentation Center, and Vitalii Khekalo, a lawyer at the Strategic Litigations Center. Representatives of the Ministry of Foreign Affairs of Ukraine, the Ministry of Ecology and Natural Resources of Ukraine, Ukrainian and international non-governmental organizations, the Institute of International Relations of the Taras Shevchenko University of Kyiv, the Prosecutor’s Office of the Autonomous Republic of Crimea and others participated in the event. During the round table, the issues of environmental damage caused by the armed conflict in the East of Ukraine and the annexation and occupation of Crimea by the Russian Federation, liability for environmental damage, appeals to the state authorities of Ukraine on the need for the formulation of the Consolidated Claim against Russia and inclusion of an ecological component of the environmental catastrophe in the East of Ukraine and annexation of the Crimea to the process of implementation of certain provisions of the EU-Ukraine Association Agreement in the field of deep geological and energy security were discussed. Tymur Korotkyi, Oleksii Vasyliuk (ICF “Ecology-Law-Human”) and Iryna Loik (OSCE) noted that the damage caused by the Russian Federation’s actions was not limited to military actions. 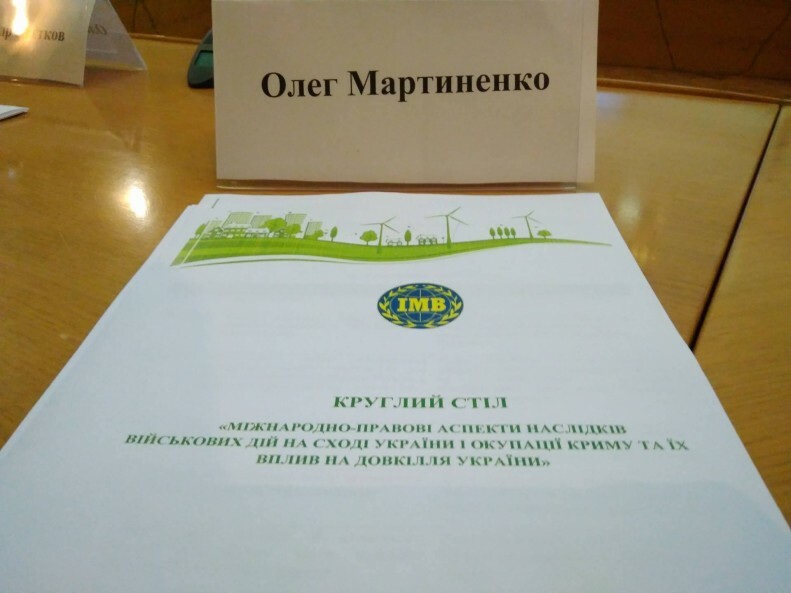 They emphasized the importance of the study “At the Edge of Survival: Destroyed Environment during the Armed Conflict in the East of Ukraine”, conducted by UHHRU. Participants of the roundtable made recommendations on the application of international legal instruments for bringing the Russian Federation to international responsibility for damage caused to the environment of Ukraine, as a result of the Russian aggression. The experts also noted that cooperation between non-governmental organizations, state bodies and the expert environment in resolving the problematic issues is crucial.